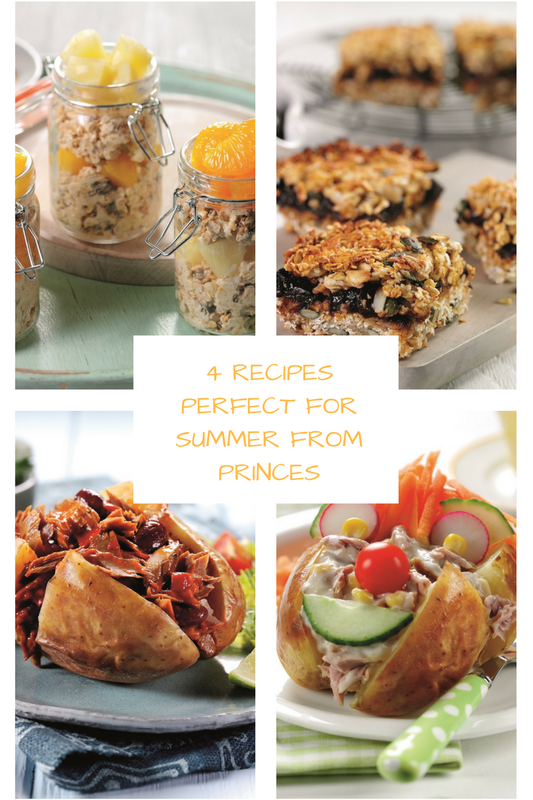 4 Recipes Perfect For Summer From Princes. Are you looking for some Summer recipes? If so, you have stopped by the right place today. Put the granola and rolled oats into a bowl, breaking up any large clusters of granola. Add the juice from the cans of Princes Peach Chunks, Pineapple Chunks and Mandarin Segments. Stir in the yogurt. Put half the fruit into bowls. Cover and refrigerate. Layer half the granola mixture into 4 jars with lids, then spoon in the remaining fruit. Top with the rest of the granola mixture, leaving some space in the jars. Cover and refrigerate overnight. 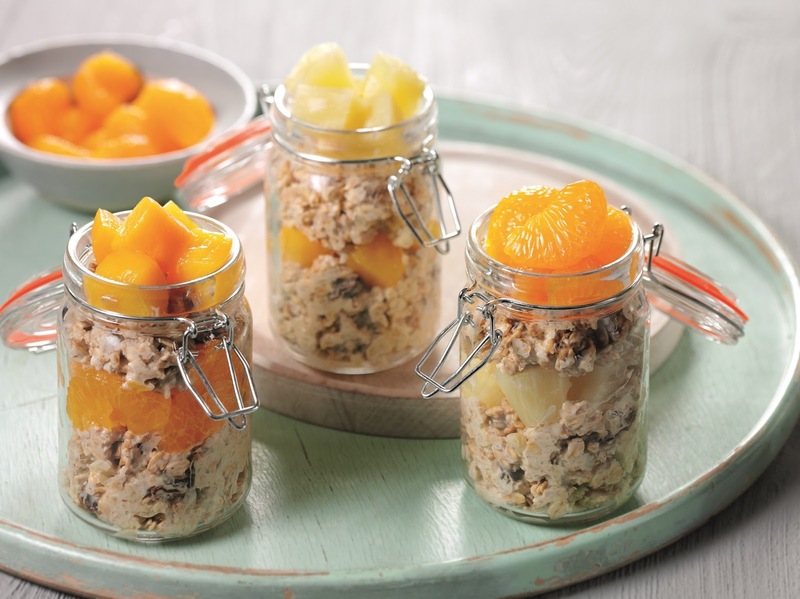 In the morning, top each jar with the chilled peaches, pineapples and mandarins (separately or mixed together). Serve, or cover and chill to eat later. Preheat the oven to 180°C, Fan Oven 160°C, Gas Mark 4. Lightly oil a 23cm square baking tin and line it with baking paper. Drain the cans of prunes and squash them lightly with a fork. Set aside. 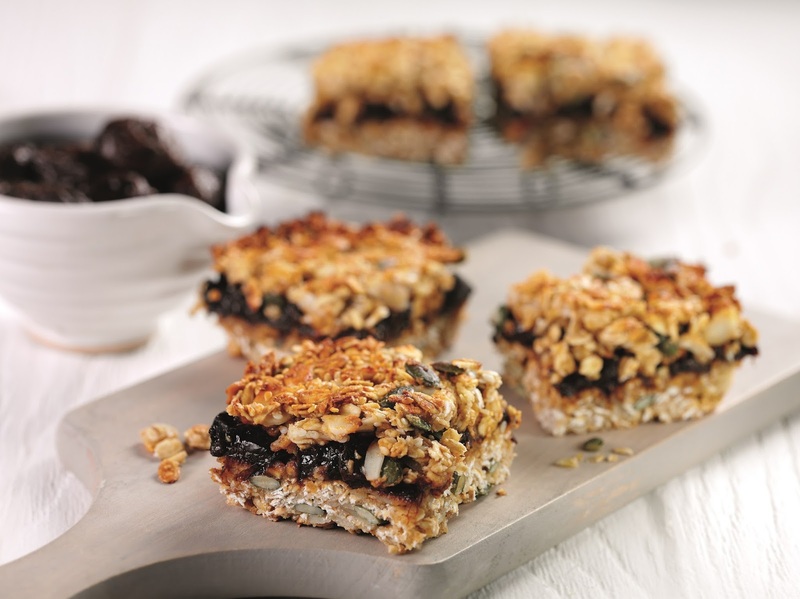 Mix together the rolled oats, ground almonds, flaked almonds, pumpkin seeds and sesame seeds. Stir in the honey, add the beaten eggs and mix thoroughly. Tip half the oat mixture into the tin and level the surface, then spread the prunes evenly on top. Cover with the rest of the oat mixture and press down lightly. Bake for 25-30 minutes until set and golden brown. Leave to cool completely, then cut into 16 squares. 1. Preheat the oven to 200°C, fan oven 180°C, Gas Mark 6. Prick the potatoes, then bake for approximately 1 hour, or until tender. 2. Split the baked potatoes and place on serving plates. Spoon one can of Mexican Tuna Fillers into each potato. 3. Serve, garnished with the salad leaves, cucumber and tomatoes. 2. Split the baked potatoes and place on serving plates. 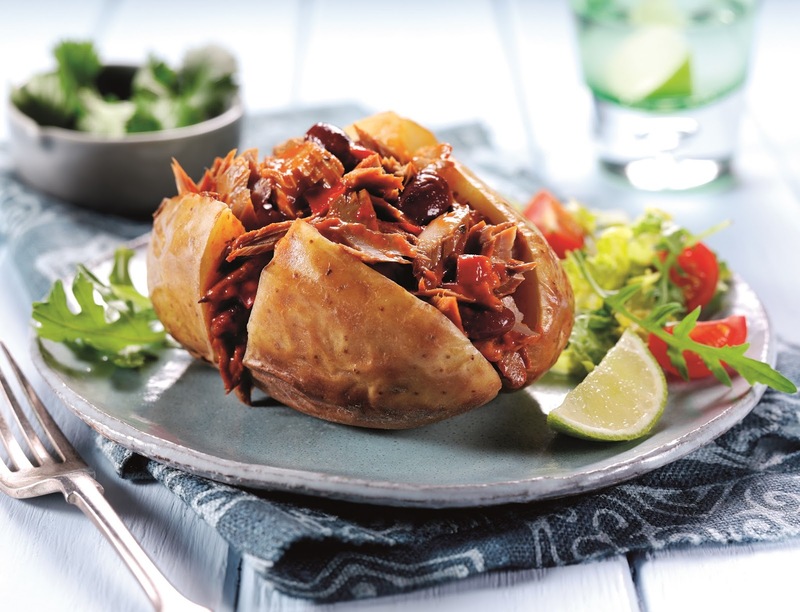 Share the can of Mexican Tuna Fillers between the potatoes, reserving 4 sweetcorn kernels. 3. Arrange the cucumber and radish slices in the potatoes to resemble the eyes and mouth, put the tomatoes in place for the noses, and arrange the grated carrot, to represent the hair. Finish off with the reserved sweetcorn, to look like the pupils in the eyes. Recipes and photos courtesy of Princes. Fancy trying any of these recipes out? Check out all this Summer Here. "Welcome To The Weekend Blog Hop 19/05/2017"
"How To Make Earl Grey’s Blueberry Jam"